Many NVIDIA Graphics Card users have reported NVIDIA Control Panel not showingissue. This control panel that lets users control properties of NVIDIA Graphics Card installed on users PC goes missing from Desktop Context menu, Start menu, or from Desktop out of the blue. This could be a result of a faulty graphics card driver, because of latest updates, missing registry subkeys and values, or some random error here and there. If your NVIDIA Control Panel is missing as well, do not panic. 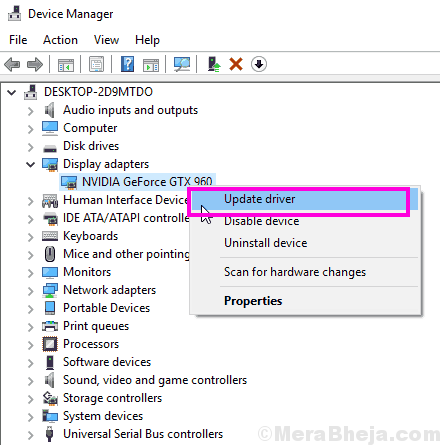 Give the following methods to fix missing NVIDIA Control Panel in Windows 10 a try, and you will be all set. The following steps include basic troubleshooting as well as some advanced techniques. 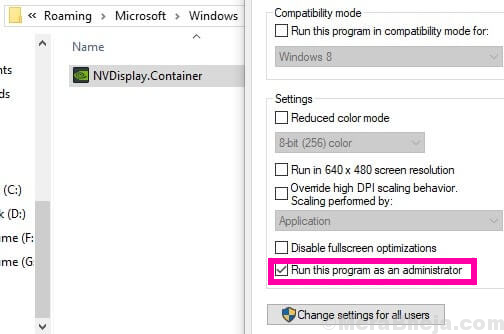 Do not skip the advanced ones if the easier ones do not help to get back your missing NVIDIA Control Panel. Step 1: Open the Run box by pressing Windows + R keys together. Now, type services.msc in the Run box and press Enter button. Step 2: This will open the Services window. Here, you will find all the running services on your PC. In the list of services, look for services whose name start with NVIDIA. Select each NVIDIA service and click on the Restart button available on the left side of the window. If a service has stopped, click the Start button. See if this method brought back the missing NVIDIA Control Panel. If it didn’t, restart your PC and check again. If nothing happens, try the next method. Step 1: Open the Control Panel. To do so, press Windows + R keys at a time, type Control in the Run box, and press Enter. Step 2: In the Control Panel that opens, view the options by Large Icons, then double click on the NVIDIA Control Panel option. Step 3: Look for Desktop or View menu, click on it, then select the Add Desktop Context Menu option from the drop-down. 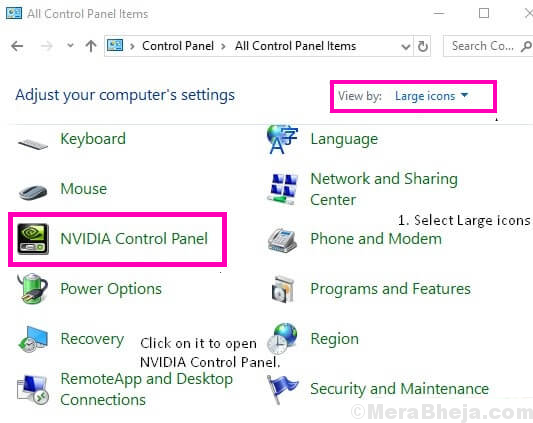 Go to your PC’s Desktop and see if the NVIDIA Control Panel appears in the Desktop context menu. 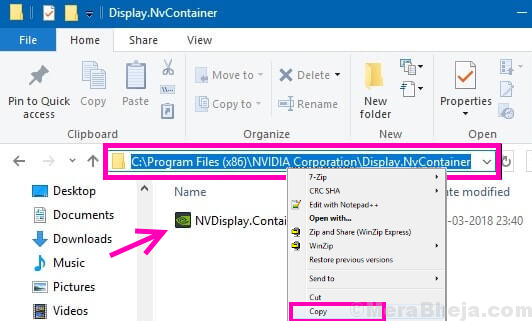 Note: If you cannot locate the NVIDIA folder in Program Files (x86) folder, look for it in Program Files folder. Step 2: In the Display.NvContainer folder, you will find a file named Display.NvContainer. Right click on it and slect the Copy option. Step 3: Open Startup Folder. To do that, Press Windows + R keys together and open Run box. In the Run box, type shell:startup and press Enter button. 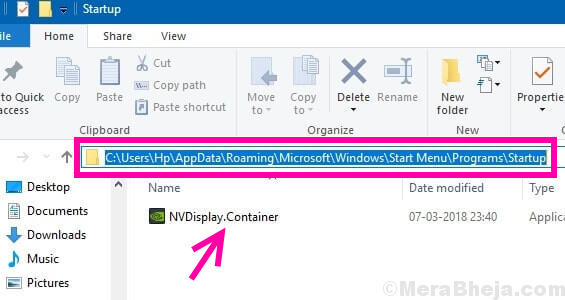 Step 4: In the Startup folder that opened, do a right-click and Paste the copied Display.NvContainer file. Step 5: Right-click on the Display.NvContainer file you pasted in Startup folder, and select the Properties option. Step 6: In the Properties window, go to the Compatibility tab. There, you will get a Run this program as administrator checkmark option; select it. Then click Ok to apply the settings. After completing these steps, restart your PC to find the missing NVIDIA Control Panel back on your desktop context menu and system tray. Step 1: On your keyboard, press the Windows + X keys together to open Win + X menu. From the menu, click on Device Manager option to open it. 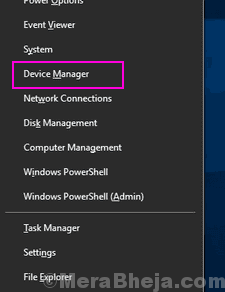 Step 2: In Device Manager, look for Display adapters option. Expand it to find NVIDIA graphics card driver. Right-click on the driver and click on Update driver option. 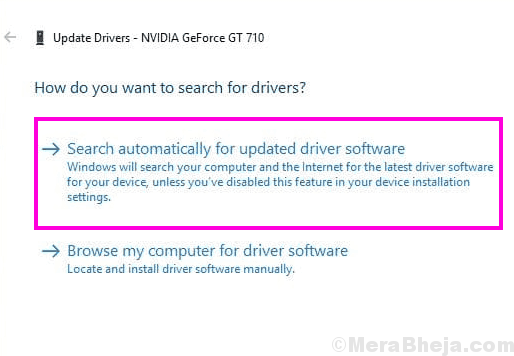 Step 3: A new window will open; click on Search automatically for updated driver software option. This will automatically look for a driver update and install it if available. If no update is available, it will inform you that as well. If the update didn’t help the case of missing NVIDIA Control Panel, try reinstalling the driver. Step 1: Open the Device Manager by pressing Windows + X keys together, and selecting Device Manager from the list that appears. Step 2: Expand the Display adapters option from the list of drivers in Device Manager. 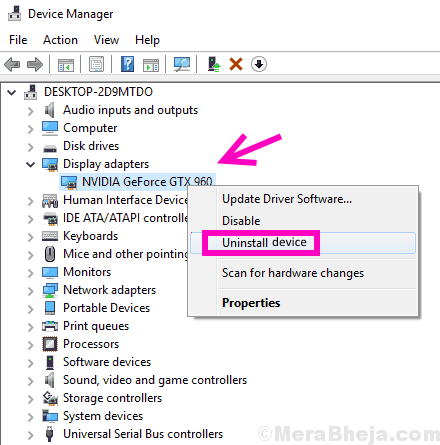 Right-click on the NVIDIA Graphics Card driver and select the Uninstall device option. 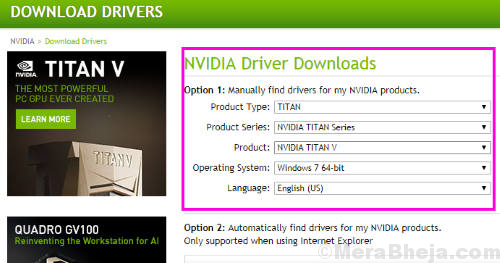 Step 3: After successfully uninstalling the driver, go to NVIDIA – Download Drivers webpage. 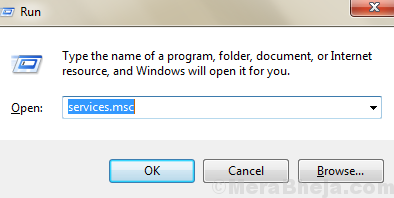 There, select the appropriate Product Type, Product Series, and Product options from the respective drop-down menus according to your computer’s configuration to download the latest driver. Once downloaded, install the driver on your PC. Restart your PC and see if the NVIDIA Control Panel is available now in the Desktop context menu and system tray. Step 1: Open My Computer folder. There, go to C Drive folder and look for Program Files folder. In the Program Files folder, you will find NVIDIA Corporation folder. If you can’t find NVIDIA Corporations folder in there, look for the same in Program Files (x86) folder. Once you are in NVIDIA Corporation folder, open the Control Panel Client. In this folder look for nvcplui file. Step 2: Right-click on the nvcplui file and click on Run as administrator option. 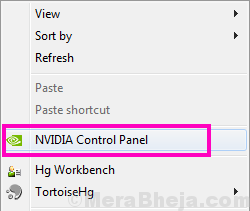 You can also create a Desktop Shortcut of the NVIDIA Control Panel from the right-click menu of nvcplui. 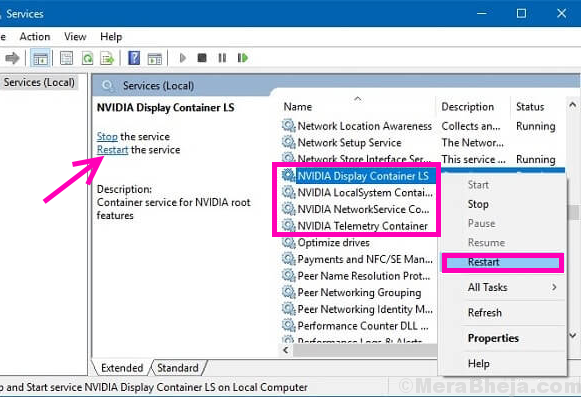 Although the method #4 and method #5 are the ultimate solution to fix NVIDIA Control Panel missing in Windows 10, you should always begin with the methods mentioned at the top of the article. If these methods also fail for you, try raising a query on NVIDIA Forum. Till then, you can use Method #6 to manually open NVIDIA Control Panel and access the graphics options.